Samsung introduces its first Tizen OS 2.3-powered smartphone for the Indian market, it’s budget phone which comes around in Rs 5700. 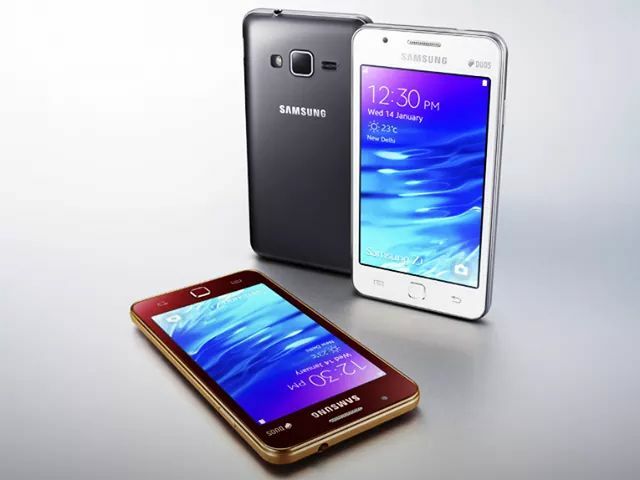 The Samsung Z1 will be available in white, black and Wine Red . The Smartphone has 4 inch 800×480 pixel WVGA IPS display. Samsung Z1 is powered by 1.2 GHz, dual-core, Spreadtrum SC7727S processor with 768 MB of RAM, It runs on Samsung’s Tizen OS v2.3. Z1 includes 4 GB of internal memory that is expandable to 64 GB via a micro SD .There is a 3.1 MP primarily camera on the back and VGA camera on front side.The handset is powered by a 1500 mAh battery.